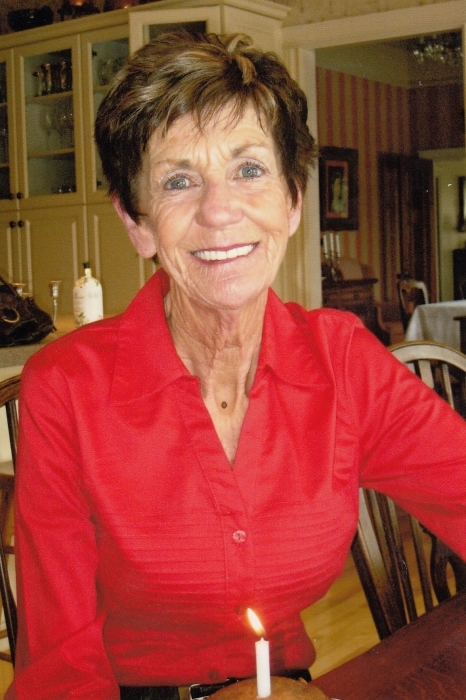 Obituary for Eleanor Louise Ettel | Providence Funeral Homes & Crematorium Inc. Passed away peacefully on November 6, 2018. Born January 29, 1946 to Gus and Pauline McDonald at Haven Hill Hospital in Penticton, BC. She lived with her family, including brothers David and Garry, in Penticton, Prince George, Greenwood, Osoyoos, and she graduated high school at SOSS in Oliver. She met the love of her life, Vern Ettel, in Greenwood during her teen years. They later reconnected in Edmonton, and they married October 8, 1966 in Oliver. They had three wonderful daughters together; Teresa (Dean) Brent, Trudy (Blair) Phipps and Tracy (John) Kelly, along with 7 grandchildren; Randy, Cassidy, Riley, Bryana, Sharlene, Tyler and Travis. She had fond memories of Rainbow Lake, a real pioneer world. Everything had to be flown in when the planes could land. Eleanor settled again in Penticton to raise her family, where she spent her remaining years. She loved her family and friends, and kept herself busy with gardening and watching the birds that visited her yard. Sadly predeceased by her husband, Vernon Ettel, parents Gus and Pauline, and brother Garry McDonald.